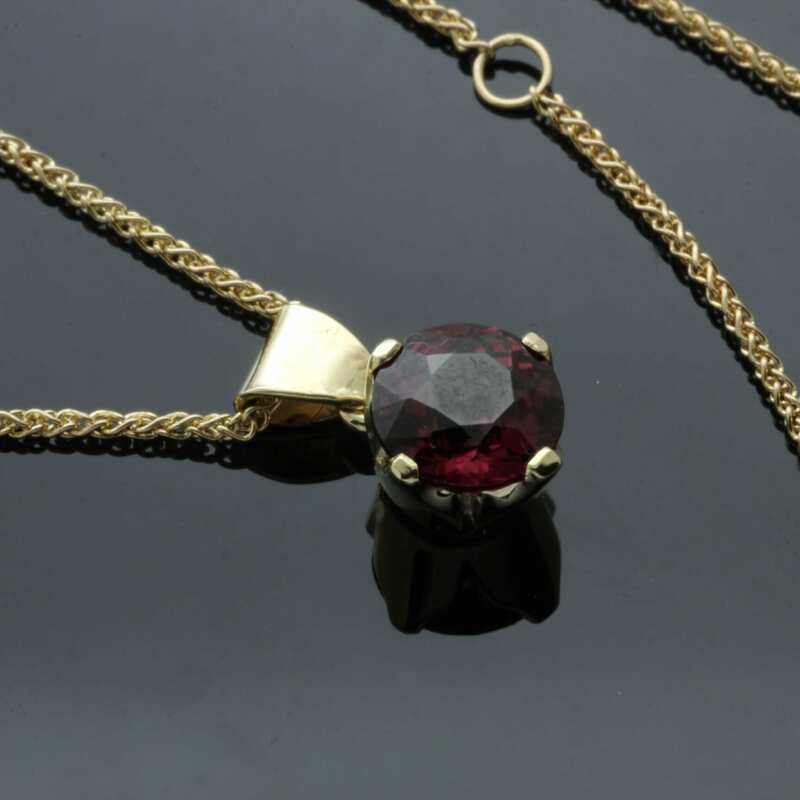 A beautiful and timelessly elegant Solitaire Garnet gemstone droplet necklace, designed and hand crafted by Julian Stephens. 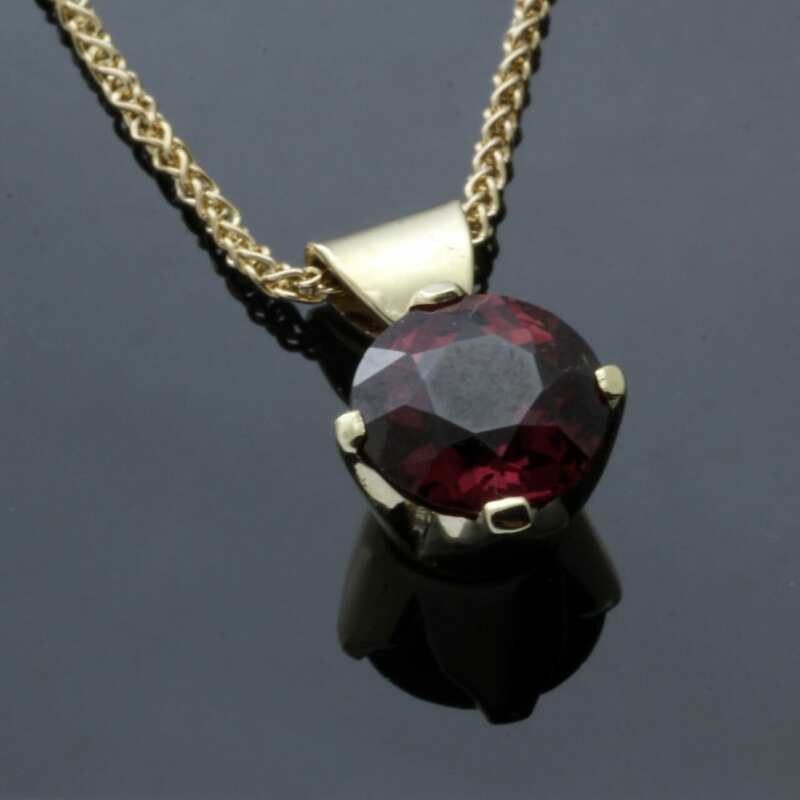 This effortlessly chic necklace is crafted to showcase a beautiful faceted Round Brilliant Madagascan gemstone in a rich, opulent red hue. The gemstone is expertly set in a deceptively minimal solid Yellow Gold setting, designed to be durable and sturdy whilst allowing the maximum amount of light to pass through the gemstone centrepiece, thus allowing the gem to naturally sparkle, shine and glow. 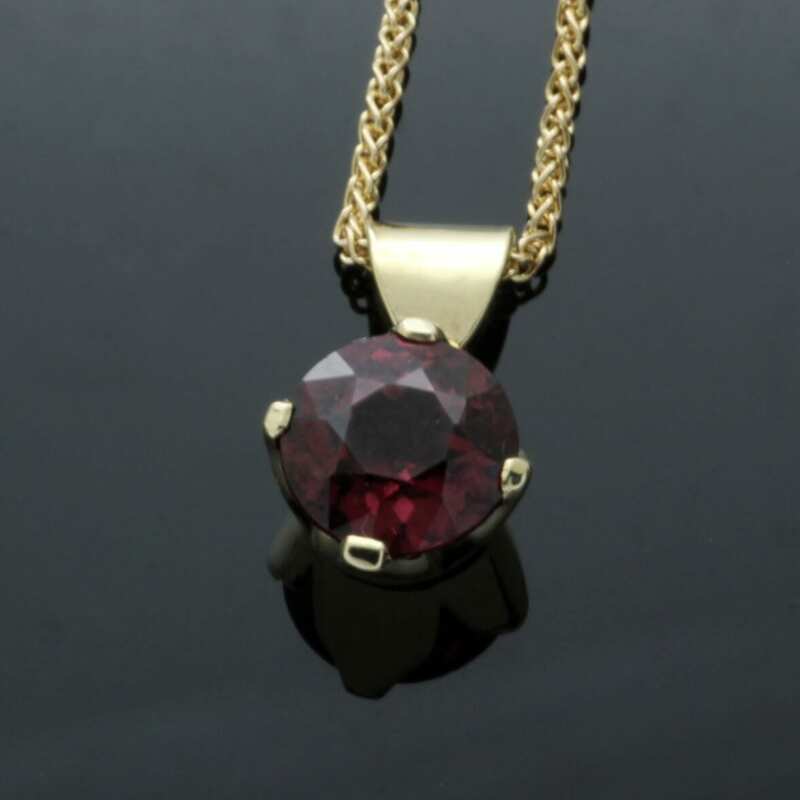 This beautiful solitaire Garnet pendant is strung on solid 18ct Yellow Gold modern Spiga chain. This elegant and modern necklace is expertly hand finished with a high shine polish to the Yellow Gold for a glossy and dazzling finish to the design.